Explosion of flavors at Gaggan. When I heard that an Indian restaurant in Bangkok was on the world's top 10, I just had to try it. It would be nice to see how indian cuisine would be reinterpreted with modernist cooking methods. 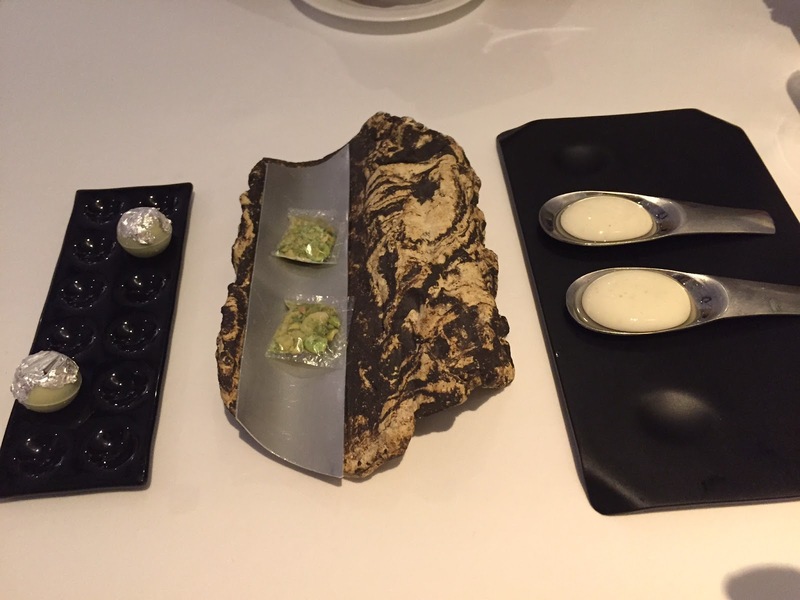 Gaggan had worked in some big hotels and had done an internship with Ferran Adria at El Bulli. Being an Indian and living in Barcelona, I was curious to know more. 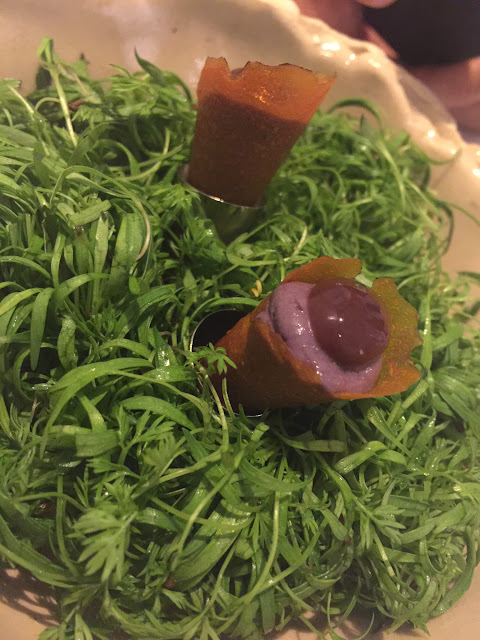 I had tried Indian modern cuisine in Mumbai, but I knew this would be different. Situated in a colonial house, you get surprised once you enter in as the interior isn't what you would expect from the outside. A cozy and classy interior, the service was perfect but lacked some warmth. 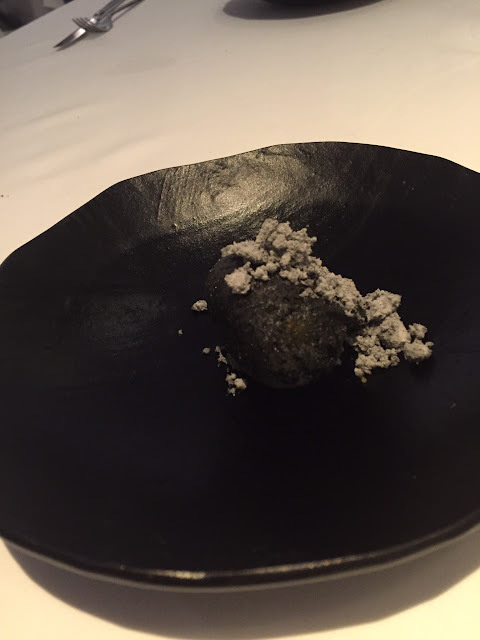 Coming to the tasting menu, there are various ones from 60 to 100€ as well as a vegetarian menu. 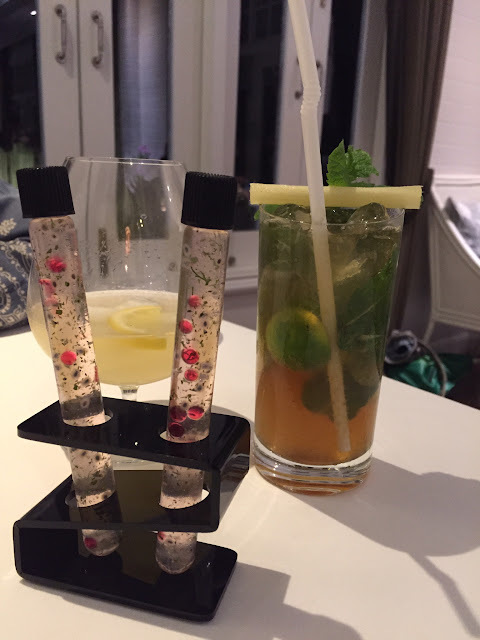 Progressive indian cuisine with some fun molecular approach; it was very interesting and worth trying. It wasn't new for me having tried indian cuisine often as well as modern gastronomy in Barcelona, with the Adria brothers, Jordi Cruz or at Disfrutar for instance. Still I had a surprising meal and a different approach to Indian cuisine; how spices and nitrogen could mingle in such harmony was something new. 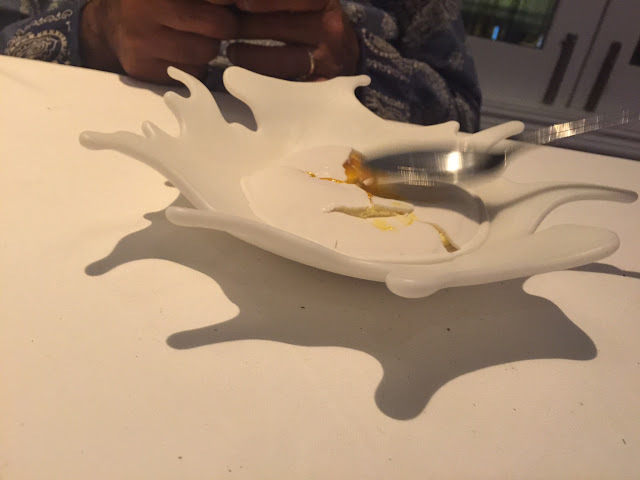 An explosion of flavors at the world's top 10: i can just say Bravo Gaggan. Here is part of our tasting menu. On the above picture you can see: Yogurt Explosion, Edible Plastic nuts & chocolate chilly bomb. Bird's nest, Papadum & Tomato Chutney, Bengali mustard & Noori Pakoda. Dhokhla, Brain freeze & Fukuoka surprise. Dhokla is a typical bengali snack with a spongy texture. Magic Mushroom: Truffle Forest in the shape of a log, edible soil and the garden. Surprise!!! Charcoal: a yummy surprise inside! Chennai Kings: delicious lotus stem in spicy roast pepper masala. Kolkata connection: Very bengali taste, pumpkin in mustard and coconut, sticky rice pudding. I want my curry: Paneer butter masala, Mom's home style dhal Mushroom Mattar malai. Thai mangoes and coconut semi sphere. Inspired in the Magnum icecream; creating a playful fantasy.